OSEIA members, 2017 has come to a close and 2018 is about to begin. While we’ve had some challenges in 2017, there were many great things to be thankful for including very strong support from our members! We ended the year on a very positive note with respect to membership support which is essential to our continued efforts - your support is greatly appreciated as we need you more than ever! In 2017 Oregon passed the 300MW mark of installed solar PV with the completion of the 56MW Gala project in central OR. This installation is illustrative of the utility solar market sector growing in OR adding significantly to our clean local solar energy sources. 2017 also had several challenges such as the loss of the RETC. After over 35 years the RETC has ended in OR. 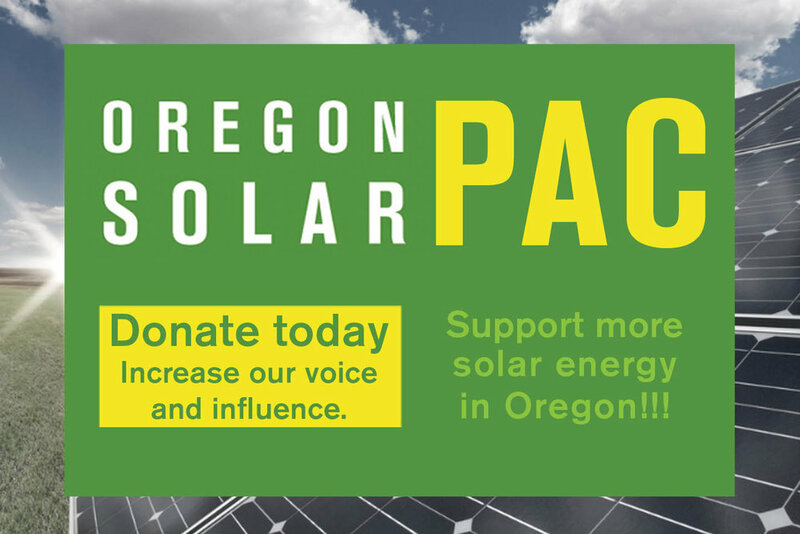 While it’s time to move on from this incentive, it is important to note that it was the central driver helping to get solar started in OR and was a workhorse in providing a stable incentive that businesses could plan around. 2017 also saw the trade tariff issue separate good friends in the solar industry as each side had valid reasons for the positions taken. We should see the final tariff results in January 2018 and hopefully we can look forward to working with the entire industry to strengthen manufacturing in OR and the rest of the United States. Now, at the end of 2017 it’s great to see the support from OSEC 2018 distributor and manufacturing sponsors. This is a great sign that 2018 has the potential to be a very good year for solar in OR. 2018 has several opportunities and risks that OSEIA will be involved with very closely. The Community Solar (CS) program is shaping up and it looks like a potential Q4 2018 program opening could happen. We will know more as work on the docket continues in early 2018. The first tranche of CS projects will be approximately 170MW’s of new solar in OR. A related docket, Resource Value of Solar (RVOS) is both an opportunity and a risk. The opportunity is for solar energy end users and customers to finally have the energy they produce be valued accurately and completely. This will take a significant effort on OSEIA’s part as the initial interim utility values came out very low. RVOS could be OSEIA’s highest priority in 2018 as it will impact the community solar program as well as potentially every net metered system in the future as OR decides exactly how to use it. If we get RVOS right, there may not be a need in the future for additional incentives. If we get it wrong, it could negatively impact the solar industry in OR for the next 10 years or more. 2018 will also see a short legislative session starting in February. Our primary bill is the Home WRAP bill to restore support for residential systems and systems in rural OR areas that are not covered by ETO incentives. This bill provides a cash incentive for residential solar projects over the next four years, providing a bridge to the future which could include using RVOS for net metered customers. On behalf of OSEIA and staff, we thank you for your support. We wish you all the best this holiday season and a happy new year!